New Patients - Moffitt & Newman DDS. Welcome. You'll be treated with the respect and care we'd give a member of our own family. We want to treat you as a member of our own family. Our goal is to provide dentistry in a step by step method, addressing your most important needs first. Often patients have been given cost prohibitive treatment plans without other options, or they feel that their own treatment expectations are not addressed. Fear keeps many people from seeking care, and it is our mission to address those fears. Your well-being is our greatest concern. Many of our patients have overcome their fear gradually or become comfortable enough to do their treatment with the aid of nitrous oxide and TLC. We understand a “must go slow” approach to dentistry, and welcome those who feel that it is a barrier to seeking dental treatment. I wholeheartedly recommend Dr. Alice Moffitt. As my teeth are sensitive and prone to cavities, I was always anxious and fearful of going to the dentist. I tried several dentists in the area before finally finding Dr. Moffitt. Everyone in the office is friendly and welcoming. 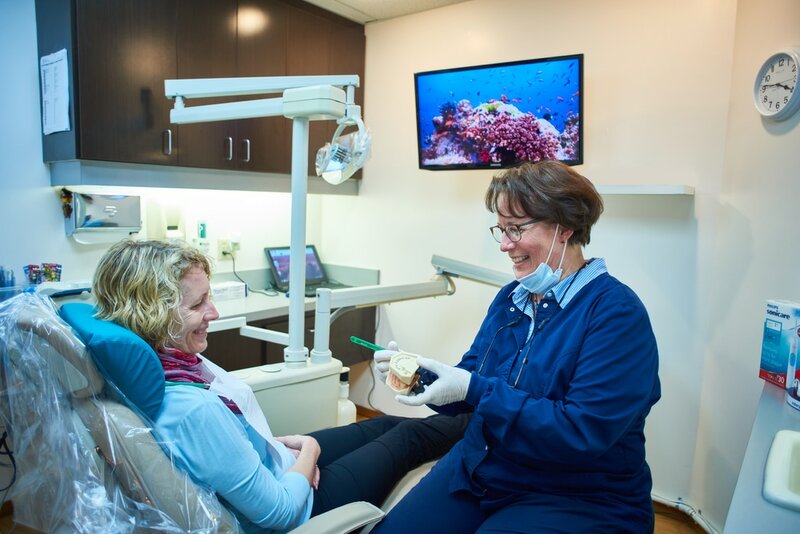 Dr Moffitt and her team of hygienists are experts at minimizing pain and soothing my anxiety. They use special numbing paste on my teeth during cleanings and nitrous gas when necessary. I am so grateful for Dr Moffitt and her team! 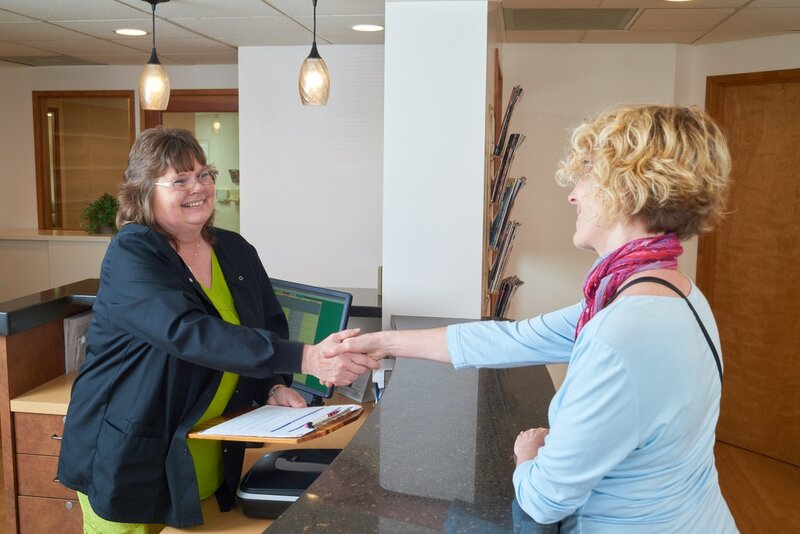 ​Our first appointment is not for dental work, but we can help with emergency treatment or pain. This visit is to educate you about your dental needs and wants, and to explain methods of achieving this. We do an exam, take x rays, or evaluate x rays transferred from another office. We welcome your input on issues that concern you most, whether it is cosmetic or replacement of missing teeth. We educate you about oral hygiene methods, and we show you how to take care of your teeth as well as dispense samples of hygiene aids available. New research indicates that the mouth can be a portal for disease and an indicator of general overall physical health. 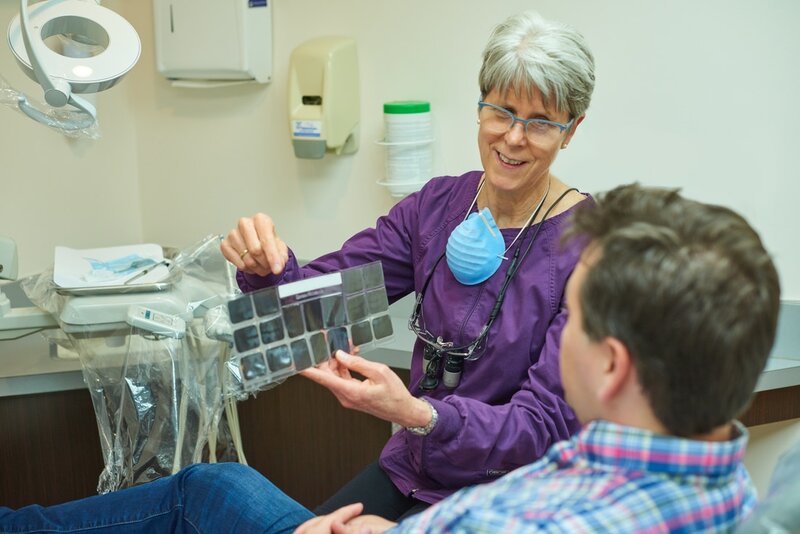 ​Not only do we evaluate your teeth and gums, but we check for signs of oral cancer and other physical conditions manifested early in the mouth. The goal is to not only improve your smile but to be healthy as well. 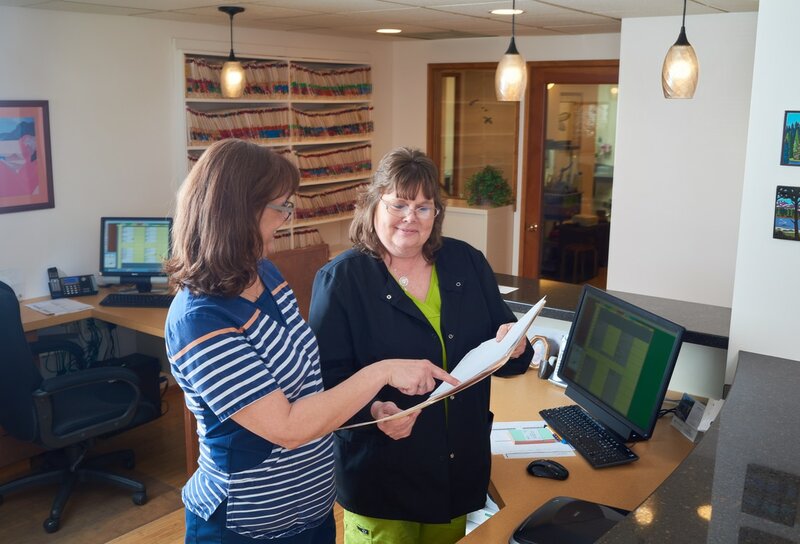 Once your treatment needs have been identified, we can work together to develop a plan and schedule your appointments for teeth cleaning and any necessary dental work. We would like to take a moment to thank Dr. Moffitt and Dr. Newman for providing exceptional dental care in an atmosphere that is not just patient centered but truly family centered. Thank you.